CooksRecipes has quality, kitchen-tested recipes for diabetic-friendly vegetable salads that you can count on for accuracy and deliciousness. 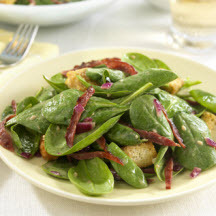 Baby spinach leaves are wilted in a warm bacon vinaigrette dressing. Perfect for any time of year. 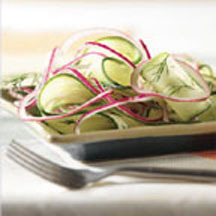 This simple salad makes a refreshing and tangy side dish. 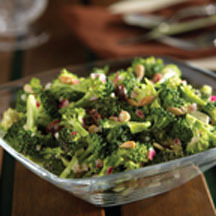 Broccoli is tossed with red onion, sunflower seeds and raisins in a light dressing.